During intense storms, your property can take a beating. 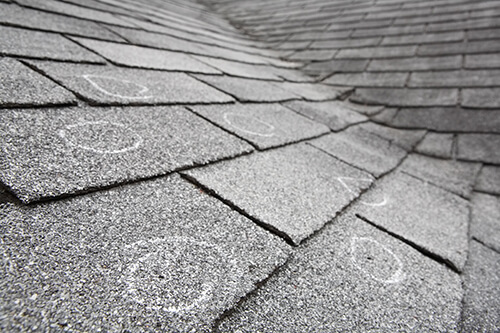 Everything from your roof to the siding to your windows can be affected by hail, heavy winds and flying debris. When this happens, you need storm damage repair experts who can identify the damage and provide you with comprehensive solutions to address the issues. NC Rebuild, Inc. is this partner. We have been helping area businesses and homeowners for over 20 years. We are fully insured and licensed, and we only work with the best craftsmen. We can assist you with the insurance claims process, and we work with most major insurances. Don’t let a storm ruin your day. Work with us, and you can be sure that your property is being properly looked after and repaired. Before we ever consider starting any work, we will fully inspect all your exterior components, including roofing, siding, windows and more. Since we have years of experience handling cases just like yours, we can quickly identify issues like lifted shingles, roof leaks, and cracked siding and windows. While minor issues can be repaired, there may be larger problems with your siding, roof or windows that will require them to be replaced. As part of the inspection, we will alert you if this is the case. We provide storm damage repair services to commercial and residential property owners throughout the Raleigh-Durham and Triangle area. Hire the Best – NC Rebuild, Inc.
At NC Rebuild, Inc., we don’t want you to worry about your property. We will keep you updated throughout the process and obtain your feedback on important items like roofing materials, siding color and more. We offer warranties on all our products and workmanship. During our free consultation, we’ll fully inspect the damage and provide you with a comprehensive solution and estimate for the work. Get started on your project today by calling us at (919) 625-5453.